If anyone’s building their wardrobe of basics or needs to replace anything, a bunch of my favorite basics for spring are in stores! A few of my exact favorites are also available again this season, which I’m really excited about and I’ll mention specifically below! I’m happy to say that Target is back in it! Don’t even get me started on all the cute shoes I saw there earlier this week–and many of them were actually decently comfortable! 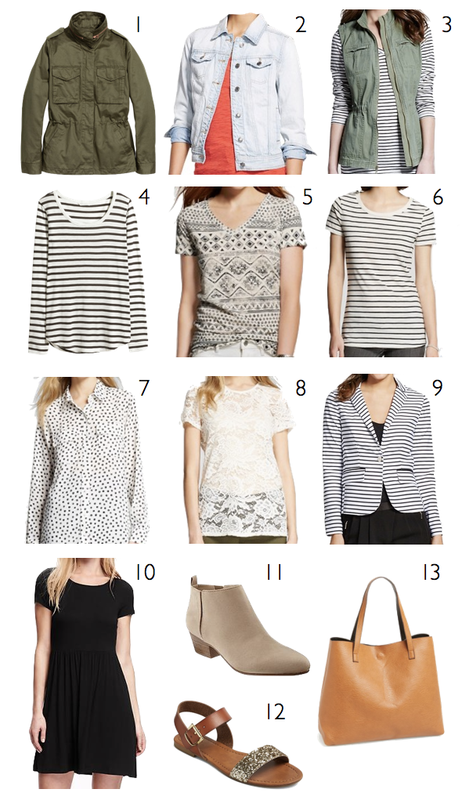 Anyway, most of today’s options are from Target or Old Navy, with a few from H&M and one from Nordstrom. 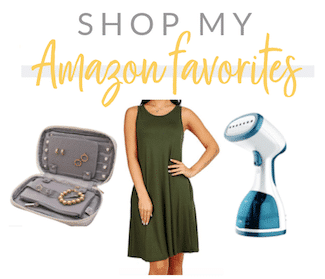 For every item, the top row has links to shop the ones shown above or similar options. Next to or below that is a link for the ways I’ve worn mine. I’m going to do a remix/recap post with my cargo jacket soon, but I LOVE THIS THING! I loved it before I was a mom and I loved it even more after I became a mom. It’s durable from dirt and kid snot) and has large pockets. And whether you’re a mom or not, it makes you look cool. Some are stiffer than others, so be mindful of that because it affects how comfortable it is for you and therefore how long or how often you’ll want to wear it. Mine is pretty soft which makes it comfortable to wear all day and to move around a lot in. I’ve had a medium wash denim jacket, but it wasn’t until last year I think that I got a light wash one. I love it! I think it looks fresher than my medium wash, and I usually choose the lighter one over the medium wash. Serves similarly as the cargo jacket–durable with pockets and the cool factor–but better for warmer weather due to the lack of sleeves. I wear mine over t-shirts, tanks, and even dresses. Every spring for the last few years Old Navy has usually brought them back in stock, and I ALWAYS say, “Get it before it’s sold out because they go fast!” and I still have a handful of people tell me they should have listened because YES, they sold out quickly. This one is from Target, not Old Navy, but it doesn’t matter. If you’ve been thinking about it, order it! Probably one of my most worn shirts through out the fall and the spring. Being a t-shirt it’s soft and comfy, but way better than a plain top. And it looks GREAT with the cargo jacket, the utility vest, or the light wash denim jacket. I own the H&M one linked above, and I love the looks of the J.Crew Factory one. I got a similar one a few months ago, but it was on clearance at Old Navy so I couldn’t find it online or any other version of it in the store. This tee from Target looks similar! I think I only have one outfit with it on the blog, but I’ve repeated that exact outfit at least 7 times as one of my go-to “mom” looks. This is $7 at Target. So, if you need one, this is a no-brainer to at least check out. This picture doesn’t do it justice. If you click to the product site and zoom in, you’ll see the dots have a little drawn or painted effect. I own one that’s similar to that, and I love that look! Great piece to have, especially if you need to wear business casual outfits. A lace tee is another one of those tops that is more or less neutral but has special characteristics that allow it to stand on its own. I usually feel like lace is too “feminine” for me, but paired with things like leather jackets/earrings/bracelets/belts, distressed jeans, or bolder jewelry helps combat that. You can see examples of all that in the outfits link. 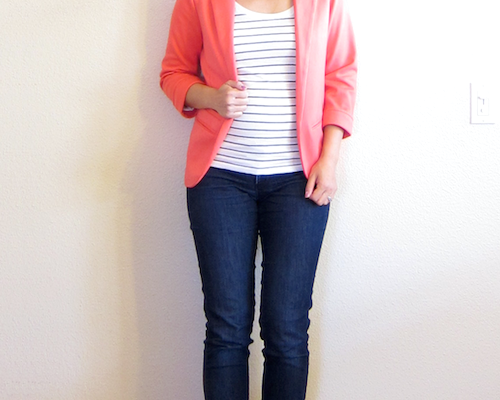 I really like my striped blazer as an easy way to pull together solids. I don’t know about the ones linked, but mine is super stretchy jersey so I can wear it for casual activities and move easily in it, but in the outfit link above I also have options for business casual looks. I’m not sure, but I *think* this is the exact one I bought last season. It’s so soft and comfy to wear! It’s on the thinner side, which is great for summer. It’s very casual and comfy, but I’ve also dressed it up for our church’s Good Friday service, and then wore the same outfit to my dad’s funeral last summer. (Gosh that feels weird to say. Sigh.) Anyway, the dress is great, so I hope this is the same one! 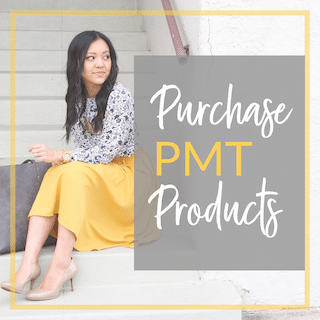 This is the 3rd season I’ve known about this sandals, and I’m so glad it’s back in stock! I got it last season and still love it! My all time most used bag! It’s faux leather, and it’s reversible. I have cognac/black, which was out of stock for a while but is now back! It comes in 4 color combos, including a cognac/peach that’s super cute. Good luck building your wardrobe! 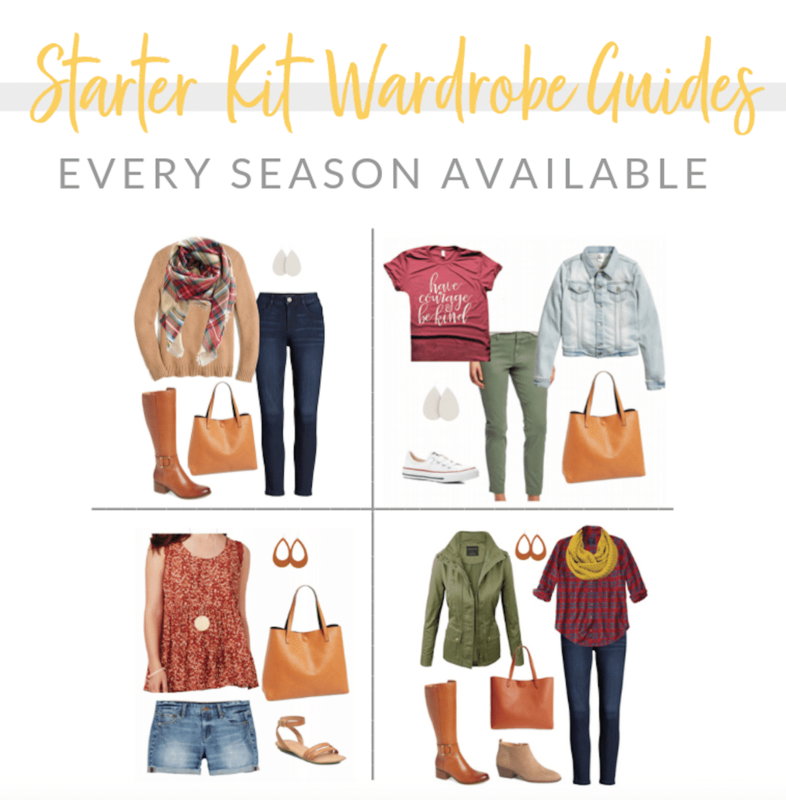 Browse our seasonal Starter Kit Wardrobe Guides, Outfit Challenges, and more in our shop HERE. A simpler plan for building a wardrobe from scratch. 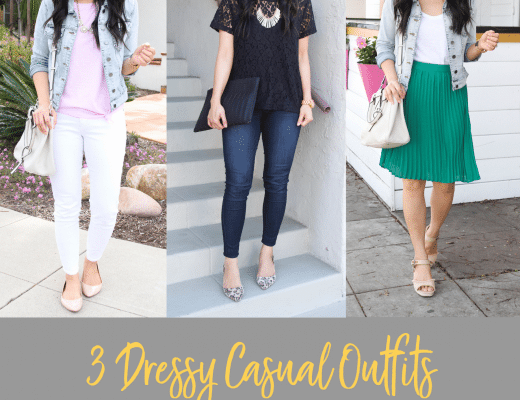 15 pieces into 31 outfits! Read more HERE. 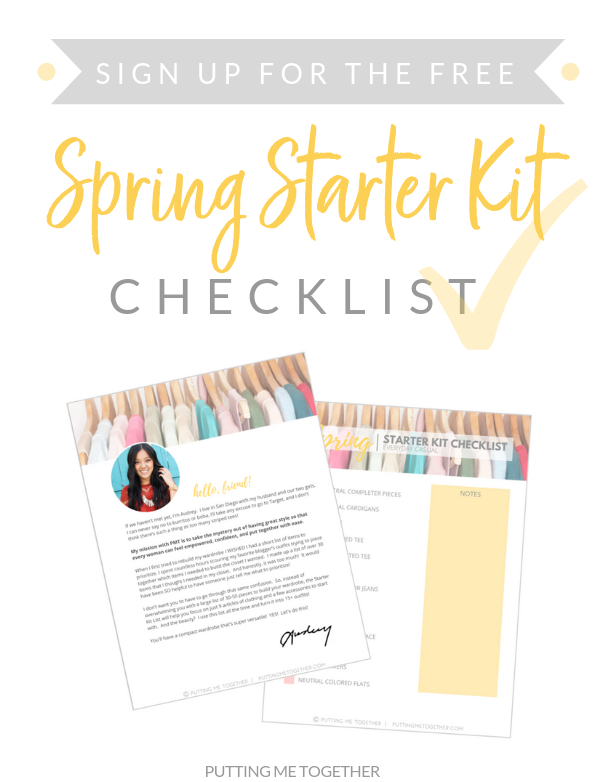 Enter your info to instantly download the FREE Spring Starter Kit Checklist! Got it! 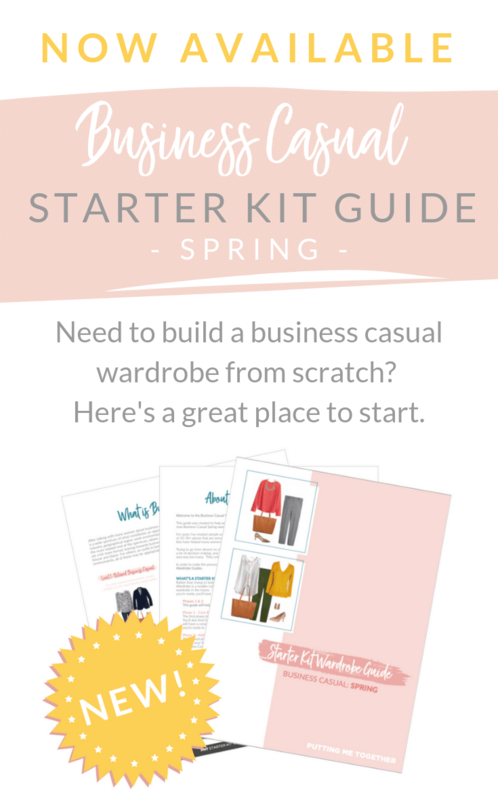 Now check your email to download your free Spring Starter Kit Checklist! 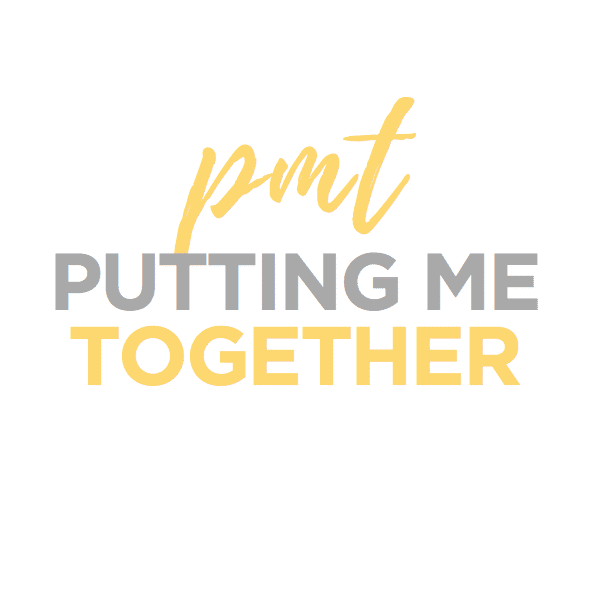 Disclosure: As a dear reader I want you to know that Putting Me Together uses affiliate links. This means that when you shop through my links, I may earn a small commission, which helps make this blog possible. Thank you for your support!